$109.00 1st Six months, new customers, 1 discount per person & rental. 50% Off 2nd Month for new customers and good for the 1st rental only * One discount per person. First 2 months 50% off new customers, good for your 1st rental * One discount per person. ALLSAFE SELF STORAGE - DUBLIN is a SAFE and SECURE place to store your valuables. 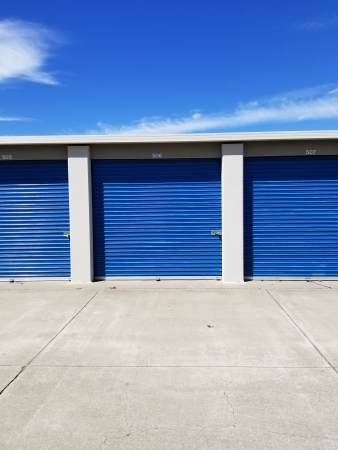 In addition to VIDEO SURVEILLANCE and DIGITAL VIDEO RECORDING our ON-SITE RESIDENT MANAGERS, are available to assist you with all of your self-storage needs. 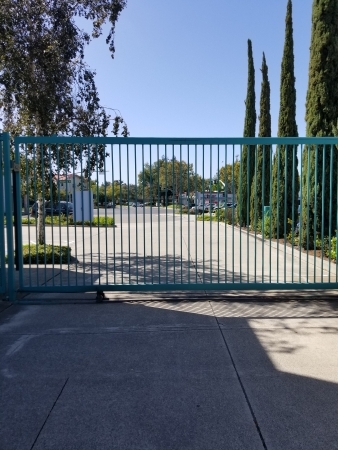 Our facility features COMPUTERIZED ENTRY and EXIT GATES and STRONG CONCRETE and STEEL CONSTRUCTION units. 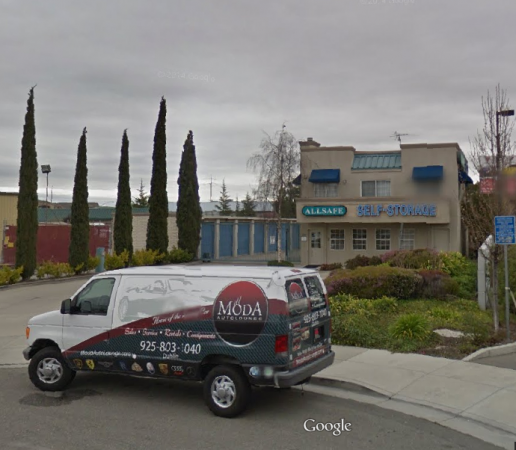 Not to mention our location is CONVENIENT to I-580 and Bart (Just between old and new Dublin)! The whole process was very easy. Found a unit online, I went to check out the unit and it was good size and clean. Lot of safety features, which was a nice surprise and very reassuring. Becky was very nice and fantastic to work with. Pricing was in line with what I expected, but a discount for 6 months which is great. Don't know how it could have been better. Good location, not too expensive! So far so good! Just moved in and had a great experience - very friendly staff, no hassles, easy to get started and moved in. If you live in the area, I highly recommend checking it out for yourself! Easy and efficient....did not know about Squarefoot until I saw it in my AAA publication. the property is well kept and the staff is friendly and professional. Staff is helpful and the facility is clean. 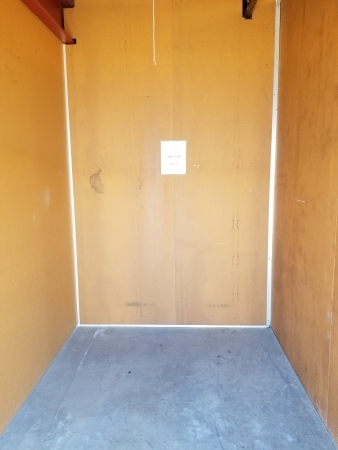 I rented a 6x10 (600 sqft)unit, I had selected this space based on the measurements provided. 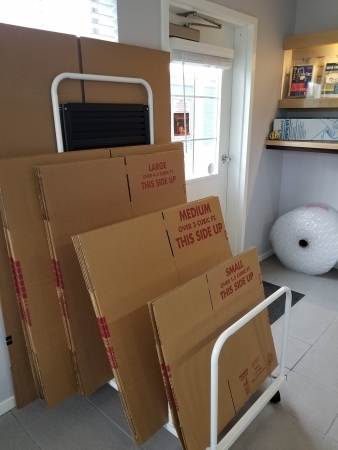 When I moved my items into the storage space it didn't fit. I validated the space at 5x9 (450sqft). When I asked about being shorted 25% of the square footage, I was told they actually measure in cubic feet and the 10ft ceiling height was the 10ft measurement in the 6x10 space advertisement. With this information a 10x10 could possibly be 10x1 with a 10ft ceiling... shady advertising. Great location. Excellent service. Reasonable pricing. Bobbie was great! Very friendly, informative in walking me through the process, as well as going over the billing. Facility is clean, and very secure! BEST PLACE FOR STORAGE BY FAR!!!!! front desk was most helpful and friendly even when the phones were ringing off the hook. couldn't get good assistance like that at most places. give that lady a raise! the storage area was clean the restroom was clean and the office was clean. this made me very happy to keep my items there. after shopping around using sparefoot this is the best price by far! keep up the good work allsafe storage in Dublin. Friendly and very helpful and accommodating. Facility up keep is very clean. Super cook friendly sweet place I tots recommend,!!!! Stephenie was an amazing help walked us through everything. Amaking customer service. It's clean and safe. The grounds are well kept. The staff is great and very.helpful and attentive . Pricing is good . Facility is nice . Friendly front desk. Worked with me. Patient. Good place for storage. Not the most price effective but it was wonderful customer service and friendly front desk. Helped me with the process and easy to talk to. Very well kept, good pricing, and friendly employees. I just moved in items yesterday and am greatly impressed with how informative the employee was as well as friendly. Would recommend to anyone. 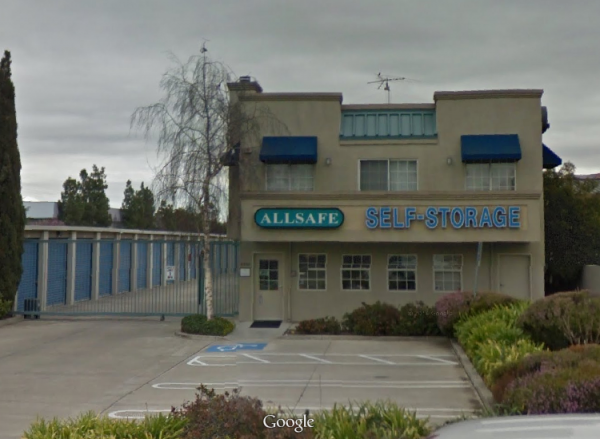 This was my first storage unit and the woman at the front desk was very friendly and helpful. She was also patient in helping explain all the steps and paperwork. 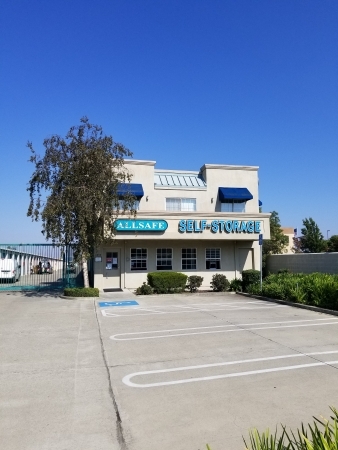 AllSafe Self Storage is very clean, has excellent customer service, and costs a bit less than the other storage facilities in the San Francisco Bay Area. This is my second time renting a unit at this facility. I liked it so much, I returned after checking the prices and sizes of other places within a 20-mile radius. I like my 5 x 10" inside unit with a regular door rather than the garage-door type. It stays clean because it is indoors at the end of a hallway. The lights can be turned on for half an hour using a timer by the door. Everyone must punch in a code to enter and to exit, making burglary less likely. One can move out with 7 days' notice rather than the typical 30 days. Stephanie in the front office is very nice, helpful, and welcoming. In every way, this is a great place and i consider it the best storage place in the Tri-Valley. Great customer service very helpful employee showed me around and helped me pick the right storge for my needs. Would recommend to other friends in need of a storge. Single story layout is a winner! The staff at All Safe is fantastic and I love that all of the units are on a single story. Rates are amazingly reasonable. Extremely easy and accessible, very nice facility. 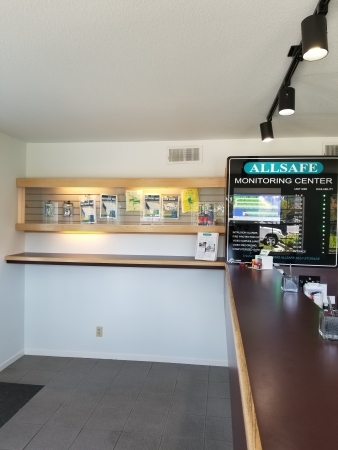 Very clean and nice , staff is friendly and eager to help. Storage unit itself is clean and safe. Would definitely recommend to a friend. Easy to register for the unit, great price and convenient unit location. Great space, well lit, safe, just as advertised. Storage unit rsvp had issues since they were all on-hold, but the facility eventually worked something out for me. Great deal - as advertised! 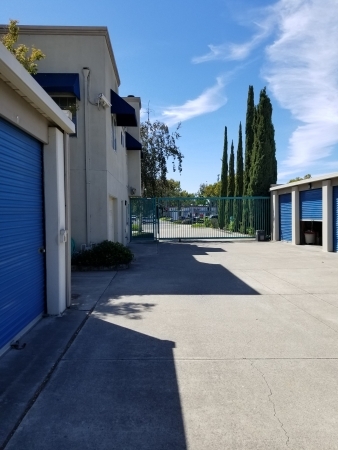 The people were friendly, the unit was clean, the price was good, and the facility appears secure. What more could you ask for? I've never been to a storage facility that was maintained so well as this one. The units are spotless as well as the rest of the grounds. There are gates and video cameras that make you feel safe and sound. The staff are very nice and helpful. So happy we found them. From start to end, this experience has been wonderful!!!! great people that really take care of you! Outstanding great people and very customer oriented. Great space to rent for a low price. Area is extremely well lit with working security gates. There is supposed to be mobile security but I haven't seen them yet, I've been told by other renters they are there. Easily accessible and open areas so cars can get around each other. I'd recommend it for all your storage. Great facility with super clean storages. Very clean and secured lot. And the lady in the front office was really informative and efficient. One of the owner even brought a couple of boxes when I mentioned that one of my boxes was torn apart. Good prices, great location very near the freeway. The best service very helpful an thoughtful.